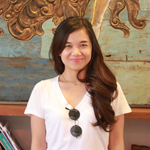 There seems to be no end in sight when talking about Indonesian food. Most foreign tourists though might only mention these two: fried rice and satay. Well… both (Nasi Goreng / fried rice and Sate /satay) are indeed famous examples of Indonesian food, but there is a lot more and it is very varied. 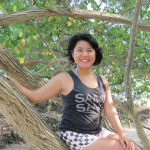 I just returned from a trip to the Moluccas (Ambon, Saparua and Banda Neira) and I just encountered some examples of Indonesian traditional food that I have never tried them before! I fell in love (desperately) with Coconut Rice/Nasi Kelapa from Tulehu village, Ambon. 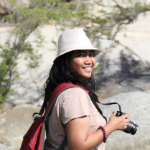 I asked some of my favorite travel bloggers about the Indonesian food that they like and what they would recommend to foreign tourists! The answers are quite diverse, ranging from Gulai Jengkol (I have never tried it), Gado-Gado through to Sate Rembiga. Are you getting hungry? Let’s start, shall we? Gado-gado a.k.a mixed vegetables with peanut sauce. Believe it or not, this menu is the first veggies menu that I can eat after salad (I am not a fan of Veggies). Gado-gado means mix-mix, and yes the food presentation is literally some of boiled veggies that are mixed together with peanut sauce. 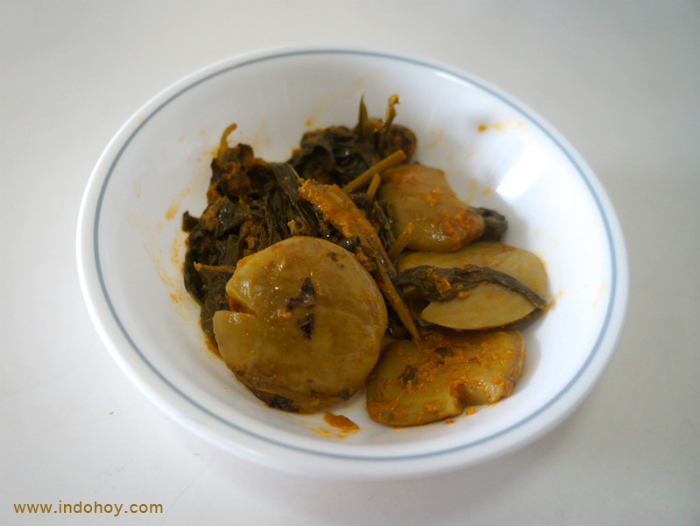 In Jogja there is a local variant of the dish called Lotek. The sauce used in Gado-gado is created using ground peanuts, but some vendor also use cashew nuts. Gado-gado is served in a unique way. The peanut sauce is made using a tool called “cobek,” which is similar to a mortar and pestle. There’s another version of this dish where the veggies are raw and the they add galangal to the peanut sauce. This is called “Karedok”. I like this dish because the sweetness in the peanut sauce hides the bitter taste of the vegetables. Best place to find it! 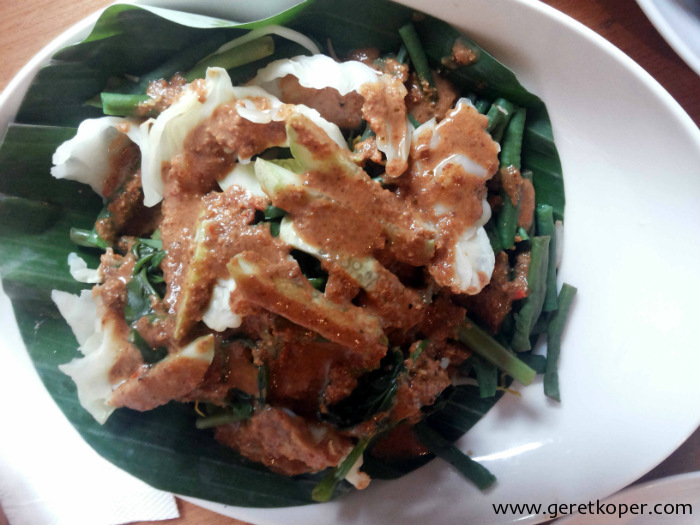 It is pretty easy to find Gado-gado in restaurants around Java. In Jakarta, I have two favorite places to eat this dish. The first one is the food vendor in Ciranjang street off Wolter Monginsidi Street, just across One Walter Place. 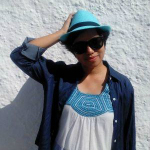 The second place I like to go is on Ruko Menteng Street, Bintaro in front of a beauty salon. Yumminess! Bubur Ayam! Yes, foreigners should try chicken porridge. The tasty chicken porridge mix with garnishes such as half boiled egg, celery, shredded chicken, fried garlic, cakue, and cracker is a perfect way to start the day. Common porridge is made from chicken yet there are several variations from localities such as Manado Porridge, which is made from mainly vegetables such as corn, spinach, and salted fish. Porridge is a comfort food when you’re sick. It is similar to eating a chicken noodle soup. It is light, fresh, nutritious, and hot. The perfect remedy to help fight off sickness. In Jakarta my favorite food stall to eat Chicken Porridge are Bubur Acung, located near Al-Azhar mosque, Bubur Barito located in Barito street, and Bubur Apotik Jaya located in front of Apotik Jaya (Jaya Pharmacy). A good restaurant that serves porridge in Jakarta is Ta’Wan, Bubur Kwam Tung, and Lotus. This is just cruel. 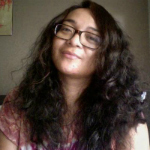 There are too many of my favorite Indonesian dishes to mention! But okay, let me just pick one random food that I like. It’s GULAI JENGKOL! It’s jengkol (I have no idea what you call it in English, but I think it’s in the pea family) cooked in gulai (curry-like) sauce. Jengkol itself is sort of bland, a bit bitter and the texture when cooked is sort of like potato (but not as soft as boiled potato). 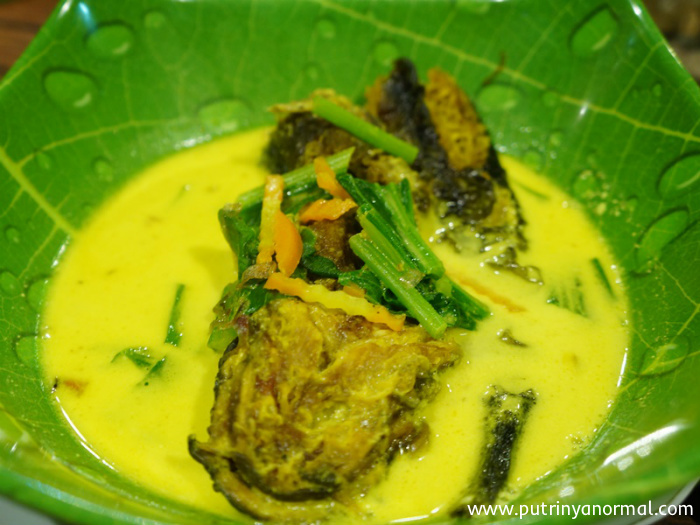 The gulai sauce is thick and spicy, yellow from the use of turmeric and hot from the chilli. I like Gulai Jengkol because it’s, well, I like almost anything in gulai sauce because it’s savory and spicy. I grew up eating a lot of gulai food (blame my West Sumatra roots). I chose jengkol in this case because it’s an underdog food, hated by many (even by those who haven’t tried it) because it can cause stinky breath. My advice for anyone who’d give jengkol a go for the first time: just try two at the most. Oh, make sure you’re not sharing the bathroom with anyone who hasn’t been warned about the stink it might cause. Some say you should eat it with cucumber to neutralize the smell, but this has never worked for me. The Sabana Kapau diner in Pasar Minggu, Jakarta, used to be my favorite place to eat gulai jengkol. But the last time I did, the jengkol wasn’t soft enough. When all else fails, I go to Sederhana restaurant (any branch) for a safe Minangnese taste, including gulai jengkol; or as the Minangnese call it, ‘gulai jariang’. Sambal, the Indonesian chili paste. At first I though the Indonesians love the burning sensation of chili, but the fact that sometimes we prefer different kinds of sambal, made me think that there’s more to it. Sambal is a combination of herbs and chili with different variations. Indonesia has a countless variety of combinations, it’s ridiculous. Some are sour with lemon juice, some are sweet with palm sugar, some have slices of mango, other include fermented durian. Sambal is rich, both in the ingredient used and the diversity on offer. Even the instant bottled sambal has a distinct taste that some people can’t live without and must take with them, when traveling abroad. Yes, it can be that good. Most authentic Indonesian restaurants have the best chili paste, including street vendors. The more modern ones can be good too, but some are better than others. 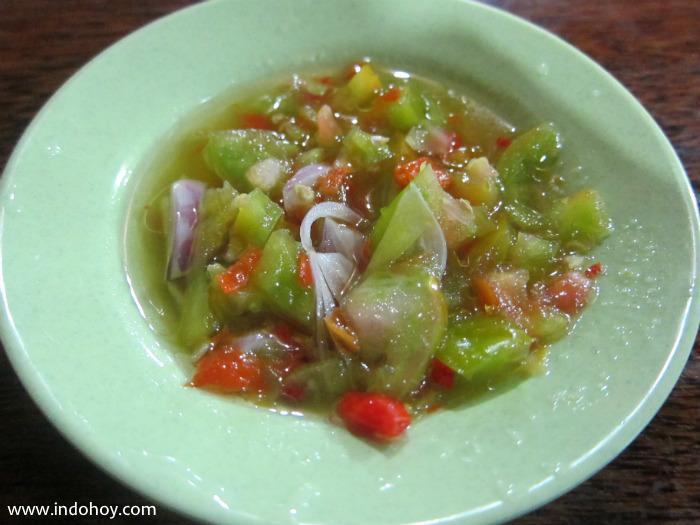 When traveling through Indonesia, you can get all sorts of different sambal. Or, you can go to nearest supermarket and have the bottled one. For me, Pisang Goreng Sambal Roa or Fried Banana with Roa Chili Sauce is one of the best dishes that have ever existed. I am fond spicy dishes and Roa Chili Sauce offers not only a spicy taste, but also a salty taste, which comes from the Roa fish inserted in the chili sauce. FYI, Roa is a fish that is quite similar with anchovy, but it mostly lives in the Sea of Sulawesi. 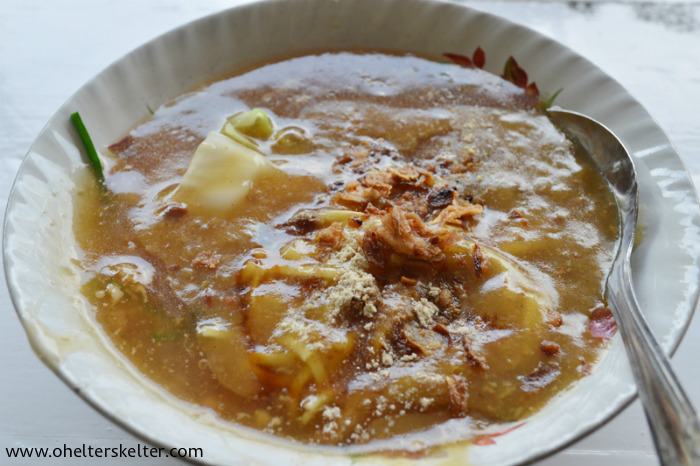 I first tasted this dish in Tomohon, North Sulawesi, which is quite a cold place to be. I remember eating Fried Banana with Roa Chili Sauce and it just warmed my body and made my tummy happy. If I could compare this dish with any international dish, I could say it is as light as eating french fries with chili sauce. The only difference between french fries and fried banana is that french fries are salty, but fried banana is a little sweet yet crispy. 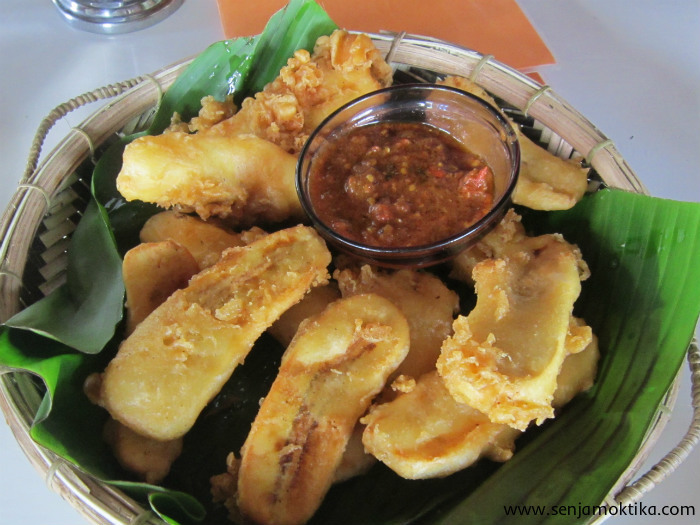 Fried Banana with Roa Chili Sauce is one of the must-eat dishes in North Sulawesi. I am not joking. IT. IS. A. MUST. North Sulawesi. It is better for you to go to Tomohon or Manado. As a big fan of noodles (mie/bakmi), I always love to try signature noodles in every area that I visit. In Semarang I love Bakmi Jawa Pak Gareng, you can find it on Wot Gandul Street. In Makassar I love Mie Titi on Dr. Wahidin Sudirohusodo Street (Irian street). In Bandung and Yogyakarta I often eat Mie Kocok and Mie Jawa at street food stalls. Each region has a special taste. 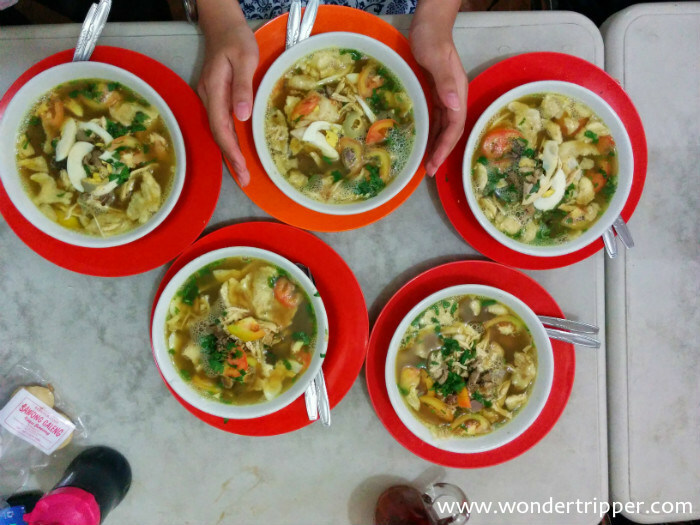 When I stopped in Wonosobo, after climbing Mount Prau, I tried the very famous local noodles Mie Ongklok. Up to that point, I had only ever seen Mie Ongklok in an Indonesian recipe book that I edited. It was great to be able to taste Mie Ongklok directly from its home town. The noodles are so tempting. They are in a thick brown broth (made from a mixture of starch, dried shrimp, and spices) with a sprinkling of fried onions. It tastes delicious eaten warm. What makes Mie Ongklok unique is the use of kucai leaves, which is a typical vegetable from Wonosobo. Mie Ongklok is a perfect dish paired with tempe kemul, beef satay, and geblek (a kind of fried cassava). Tempe dipped into the noodles broth is guaranteed to be addictive. I ate two bowls! The name ‘ongklok’ is derived from the name of a small basket of woven bamboo that is used to boil the noodles. Mie Ongklok Longkrang, No. 14 Pasukan Ronggolawe Street, Wonosobo. In fact, this restaurant is listed on Trip Advisor! This place is so popular the former president even came here for a meal. Ah, it makes me want to go back to Wonosobo! 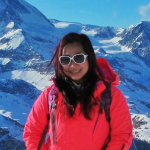 At first it looks unassuming, a big white lump with crimped edges. But hidden inside the glistening skin is a chicken egg with golden yolk boiled to perfection. Among all the types of pempek – fish cake dishes from Palembang invented by a local man of Chinese descent in the 17th century – Pempek Kapal Selam, literally ‘Submarine Pempek’, is arguably the most popular pempek in Indonesia. Vendors and restaurants across the country sell Pempek made using the original recipe or with their own take on the dish. One Pempek Kapal Selam is big enough for a breakfast portion. Made from tapioca flour, ground fish (typically belida or known as giant featherback in English as well as tenggiri or Spanish mackerels) and obviously chicken egg. Once it’s made it is then boiled until the egg is cooked, and briefly fried to give the fish cake a nice touch of golden brown on the outside. 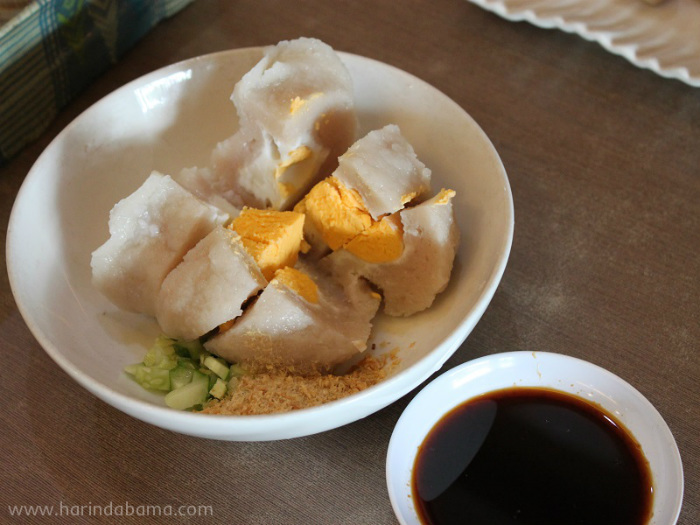 Apart from the fish cake itself, cuko is essential in all pempek dishes. Made from palm sugar, vinegar, garlic, dried shrimp, and bird’s eye chili, the pungent sweet and spicy black sauce is then poured over the ‘submarine’. Add chopped fresh cucumber and powdered dried shrimp or ebi, your Pempek Kapal Selam is ready to serve. It’s a perfect dish for those who love fish, seafood, and chili. A dish that you’ll crave on a rainy cold day. Literally all over Palembang, but Beringin restaurant serves one of the tastiest Pempek Kapal Selam I have ever tried. 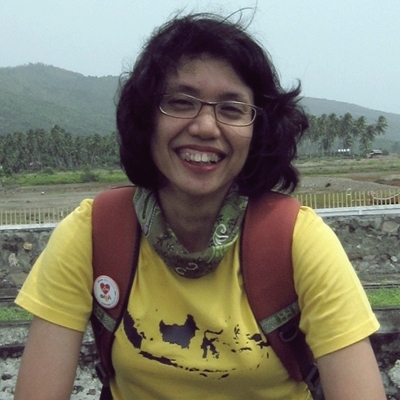 Author bio: Bama is a regular office worker and lives in the chaotic but somewhat intriguing metropolis that is Jakarta; a big enthusiast of culture, food, history and ancient sites; and a true nerd by nature. You can expect to catch him taking lots of photos of architectural details, meticulously carved sculptures, ornate doors, and of course, scrumptious dishes. On the big world that is the internet, he can be found at harindabama.com or on Twitter. I would like to recommend Sate/Satay Rembiga. Most of the signature dishes from Lombok come with the name of the village where the food first appeared. Example; Ayam (chicken) Taliwang from Taliwang area, Nasi Puyung from the Puyung village, and this one, Sate Rembiga which comes from the Rembiga area. The thing that is so special about this Satay is the taste of the meat. It is tender, spicy, savory and slightly sweet. I don’t have any idea how the sellers make it. It is clearly a kitchen secret. But from the observation I can say that the tender spicy tasty meat is the result of meat marinated in spices for hours until all the flavors are absorbed and cushioned. Once cooked, the satay does not need any additional seasoning nor sauce. The most striking characteristic of the meat is the reddish brown color. This is a sign that the meat has been perfectly marinated. Satay Rembiga usually served hot with rice cake / rice, ointment/urap, and pelecing kangkung (water spinach). The flavor of Satay Rembiga has changed. It is not as spicy as when I was a child. This is either because the price of chilies has gone up or adjustments have been made for the customers. Worry not though because the essence of the taste remains unchanged. The Satay is delicious and addictive. 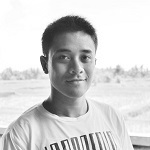 The best place to find Satay Rembiga is of course Rembiga. Vendors usually start selling from 2 pm until 9 pm. There are some sellers scattered throughout Rembiga. However, I recommend Sate Rembiga Ibu Sinnaseh on Dr. Wahidin street. This is a simple stall located on the main street and is very easy to find. The price for Satay Rembiga is normally Rp 2,000 per skewer. The cost per serving is Rp 20,000 / 10 sticks for Sate Rembiga. Other dishes I’d recommend include satay Pusut (similar with Balinese Satay Lilit, which is made from coconut), Bebalung (bone soup), and various processed Pepes (Pepes is a cooking method of steaming the ingredients wrapped in banana leaves until it becomes tender. It is later grilled). Mangut Lele is an Indonesian dish originally from Yogyakarta. The dish is catfish with seasoning (spiced catfish). Visually Mangut Lele looks similar to a curry. The taste is savory, sweet and slightly spicy from the galangal and ginger. Mangut Lele is popular among foodies, because of its taste. The catfish is seasoned with coconut milk that is mixed with garlic, red onion, galangal, crushed ginger, turmeric, lemongrass, bay leaves and also lime leaves. This dish is special to me because I only ever used to eat fried catfish with sambal. So Mangut Lele is a big contrast, with exciting flavors and tastes good too. Btw, the way fish is cooked varies. Sometimes the catfish is grilled and sometimes it is fried in hot oil. I prefer it when it is fried as you get the crispness of the catfish. Mangut Lele can easily be found in several restaurants in Jogjakarta, one of the popular ones is Warung Heru, which is located on Prawirotaman 1 Street. If you would like to try a more traditional place then Warung Mangut Lele Mbah Marto, which is located in Ngireng-ireng village, Saraban, Bantul, is the best. Martabak Manis (Sweet Pancake) is a street foods in Indonesia which is eaten as a dessert or late night snack. ‘Manis’ means sweet in Indonesian. Most of the ingredients used in Martabak Manis are rich and sweet. 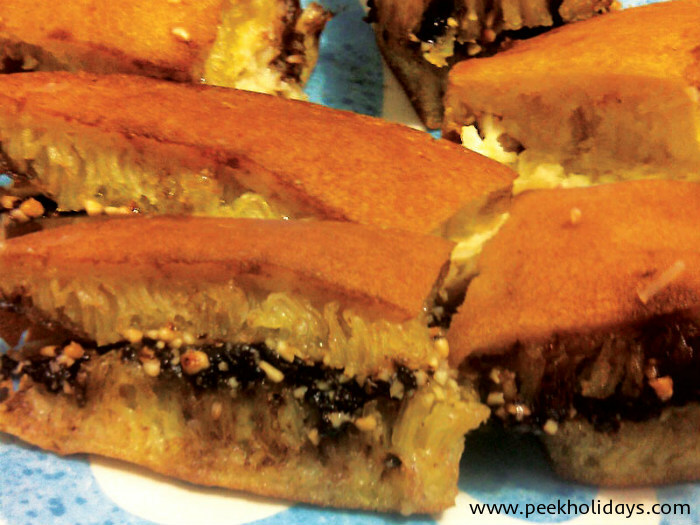 Indonesia’s Martabak Manis is a thick stuffed pancake, which after the eggy pancake is cooked in a special pan. When it’s half cooked a layer of margarine or butter applied on top of it and followed by chocolate sprinkles, shredded cheeses, sesame seeds, crashed peanut, condensed milk and sugar. Once the sprinkles are on, the pancake gets cut into two and closed up like a sandwich. The residual heat then makes everything melt together. Imagine the crisp of the top and bottom shells with melted ingredients entering into our mouth. There is only one word to describe it: CHAMPION. It is best consumed while hot. ‘Legit’. That’s an Indonesian word to describe food that is full of flavor or sweet and tasty. If you like sweet taste like I do, you are definitely going to love this! If you don’t, fret not, because when we order our Martabak Manis, we can request for specific toppings; i.e: cheese or chocolate, depending on what the stall offers. There is a similar snack like Martabak Manis in Singapore and Malaysia called ‘Min Jiang Kueh’ or ‘Mian Jian Kueh’. Red bean and peanut paste are the most common toppings used for Min Jiang Kueh in Singapore, while in Malaysia you normally eat the dish with crushed peanut. Martabak Bangka Iwan have a few branches across Jakarta city. The branch I usually buy from is the one at Perumahan Citra 2. They sell the Martabak from a pushcart, which is located along shophouses and near to Kwetiau Acai Restaurant. If you are visiting Jakarta and staying near to the airport, you may want to drop by here and buy one! The main branch of my favorite Martabak seller is at Pecenongan Raya. They have several improvised toppings choices, such as using Nutella, Toblerone, Skippy and Ovomaltine instead of traditional crushed peanut and chocolate sprinkles. You haven’t really visited Bali until you got to taste the famous Babi Guling (unless you don’t eat pork, of course). Babi Guling is a traditional spit roasted suckling pig cooked over a charcoal fire. 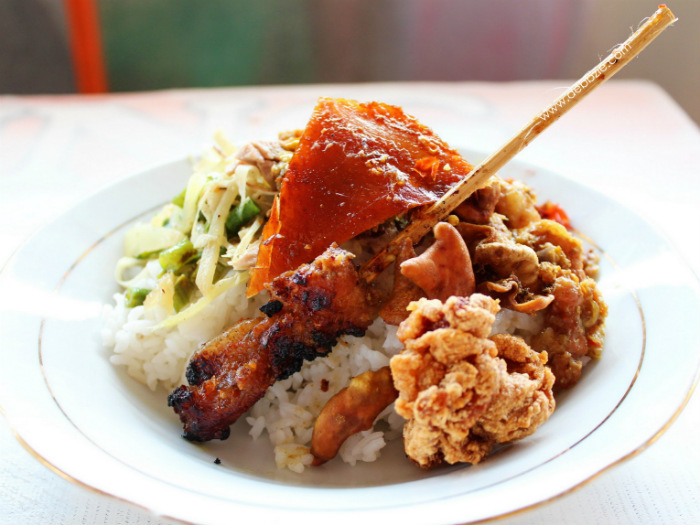 Normally one portion of babi guling consists of slices of meat, skin, fried intestine, urutan (Balinese style pork sausage), pork satay, rice and lawar. I love Babi Guling because it has a rich and flavourful taste from the Base Genep (Balinese complete spices). My favourite place to eat Babi Guling is in Pasar Senggol Gianyar where you can find dozens of Babi Guling stalls. I always have mine from warung Ratni inside the market. Other than this, warung Handayani, in By Pass Ngurah Rai Tohpati, and warung Pak Dobil, in the Nusa Dua area, also serve finger lickingly scrumptious Babi Guling. Satay Padang is one of my favorite dish EVER! I grew up with this. You know, the word SATE or satay itself means skewered meat (typically beef, although some use chicken or lamb) served with some kind of sauce. While Padang refers to a city in West Sumatra, Indonesia. So basically, it means Satay from Padang (ha! I know it sounds cliché). Don’t be confused, but we got so many different kinds of satay in Indonesia. Satay Padang, Satay Madura, Satay Lilit and many many more. You name it. The main difference between these variations is the sauce used, if not the meat itself. 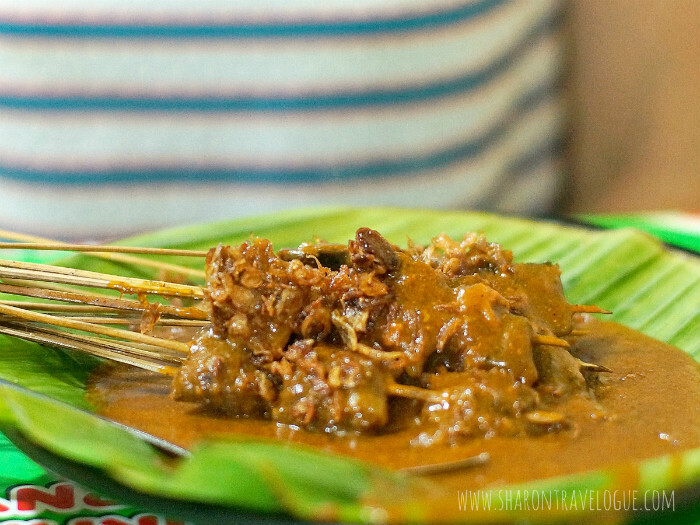 What I like about Satay Padang is of course, the signature thick yellow spicy sauce. It’s made from a spicy broth of garlic, curry powder, etc, and rice flour. It has this thick kind of texture. I like to have mine with skin crackers (we call it Jangek). Yum! Oh you’ve got to try the one using beef tongue! It’s the best part of the meat. So.. tell me, have you tried SATE PADANG before? I grew up with this and I absolutely LOVE it! I’m sure you will to. See, Satay Padang is not something you will easily find on the menu in most restaurants, even in Indonesia. But you can find it pretty easily among the street vendors. Seriously, you can find Satay Padang pretty much everywhere! 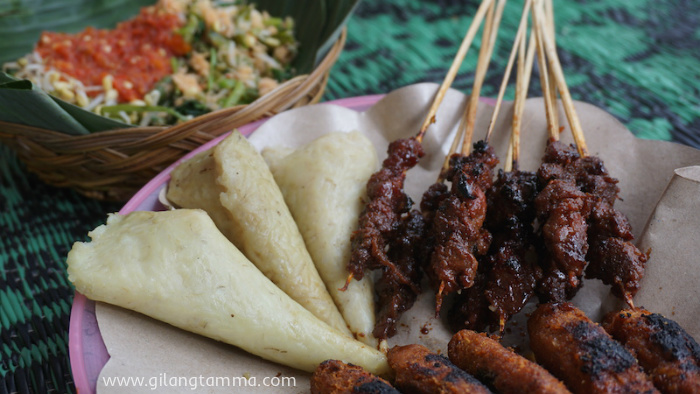 You can find Satay Padang in Jakarta, Bandung, and all across Sumatra. Not sure about other parts of the country though as I have never been there before. 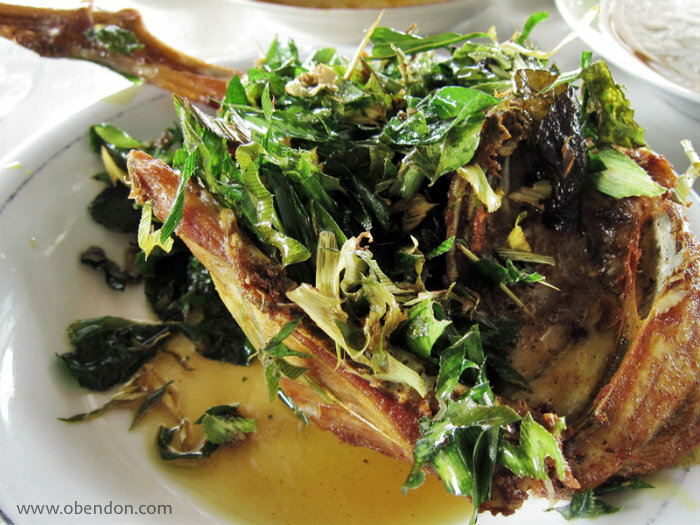 Ayam Tangkap (or literary “caught chicken” in English) is a typical culinary dish from Aceh. It can be found in many restaurants or food stalls in Nanggroe Aceh Darussalam. For some people, when they first see the appearance of Ayam Tangkap they think they are seeing rubbish. Why? Because the chicken, which is (generally) cut into small pieces, is fried and presented under heaps of leaves that resemble a mound of garbage. The foliage comes from small slices of pandanus leaves, bay leaves, curry leaves and temuru leaves. The savory flavor comes from a mixture of spices that has seeped into the chicken meat, which was previously get marinated with spiced coconut water (salt, garlic, pepper, nutmeg, ginger, turmeric and secret spices of Aceh). Before being fried, the marinated chicken is (generally) cut into small pieces. The dish is best served while it is still hot and is paired with hot steamed rice and sambal Ganja (litterary can be translated as “weed sauce”, wait don’t be too happy, it is not all “weed”). The Sambal Ganja is made of alloy starfruit and shrimp, lemongrass, chilli, shallots, lime leaves and ummm.. secret ingredients. It tastes sour, spicy, sweet savory, tasty and can be addictive! One touch on your tongue and you wont be able to stop chewing the chicken until all that is left is the bones. So don’t forget to give Ayam Tangkap a try if you visit Aceh! Oh. It’s called Ayam Tangkap because when you want to make an Ayam Tangkap, you need to catch the chicken first. 😉 (tangkap means catch). In Aceh, check out Ayam Tangkap Pramugari restaurant ot Blangbintang Lama Street (behind Sultan Iskandar Muda airport), Aceh Besar. Or in Jakarta, try to go to Ayam Tangkap Atjeh Rayeuk in Ciranjang street No. 38, Kebayoran Baru, Jakarta Selatan or Dapoe Aceh in Plaza Sentral building, ground floor P1. Jendral Sudirman street Kav. 47, Jakarta Selatan. I was thinking about also including my suggestions for best Indonesian food that you should try, but this article already way too long. 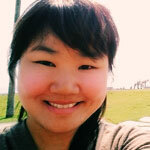 I’ll write down some of my personal suggestions next time in an upcoming post (hopefully soon!). If you like food and you’re visiting Yogyakarta, feel free to check out these articles: Where to eat in Yogyakarta: South Part, Jogja street food, Authentic Javanese Bites: Warung Handayani and My Top 5 Culinary Choices in Yogyakarta. 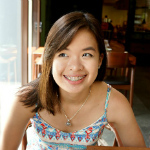 So have you already started to salivate by reading and seeing all the delicious Indonesian food suggested by my friends? Note it down, add more Indonesian food vocabulary and make sure you give some of these dishes a try when you come to visit Indonesia. In the meantime, looking at the pictures and reading the description, which type of food are you really looking forward to trying? Let us know. This post is a cruel one, my saliva gland won’t stop drooling. 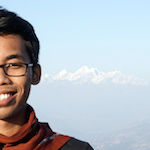 Hi Diyan! Thanks for stopping by. Oh yes, I love Tempe too! Have you ever tried Tempe Salad at Milas Restaurant in Jogja? So good! So so so make me starving, ada yang belum aku coba juga niiih. Semua terlihat Endeuuusss kak first! Percaya gak kalau aku belum pernah coba Mangut Lele? Hahaha..
Kamu! Ternyata selain cewek durian, cewek jengkol juga. Haha..
Huahahaa.. Tossss Yuki! Aku pun durian jugak! kita suka makanan yang bau-bau, ya. bahaha! Laper gara-gara apa? Bubur ayam yaaa?? Salahin Shabrina! Omg I am so hungry! Me too. I really want to eat Pempek! I can safely say that there’s no finer Indonesian dessert that I’ve devoured than freshly made kolak – such a shame it tends to be a once a year treat, but it’s certainly worth waiting for! Apart from that there’s so many delicious Savoury dishes it’s difficult to narrow it down to just one, but today my mood swings in the direction of Soto Betawi. Oh and in the snack category it’s definitely risoles, I can down them by the dozen! Eh apa itu Babanci? Makanan apa itu? Terdengar menarik! Mas Cumiiii, aku pun suka makanan ituuuu. Aku ngiler pempek nih sekarang. Duh, salah banget liat ini di sore hari yang galau karena udah makan siang tapi masih laper. Iya, itu juga yummy ya! My favorites are always empek-empek and batagor. Yummy ! oh ya! Nasi goreng as well. The spiciest one!